A plot with an idyllic outlook situated on a rural lane in the ‘Garden of England’, is something most self-builders can only dream of. But for Richard and Susan Skelly, they were fortunate enough to own such a place. The land formed part of Blueberry Farm, a location the couple had been living for 24 years before embarking on their project. When the opportunity arose to develop one of the barns on the site, the couple decided it was time to move out of the 19th century farmhouse into a home designed specifically for them. Their journey began when there was an amendment made to the permitted development rights in England, making it easier to undertake a conversion of an out of use agricultural building into a home. They approached a local architect to discuss the potential, and plans were drawn up. At this time the Skellys saw an advert for a local exhibition, Build It Live in Kent, and decided it would be a good place to gather information and ideas. They originally looked into the possibility of using oak, but many of the companies they contacted were unsure of the changes to permitted development rights and what the new rules entailed. 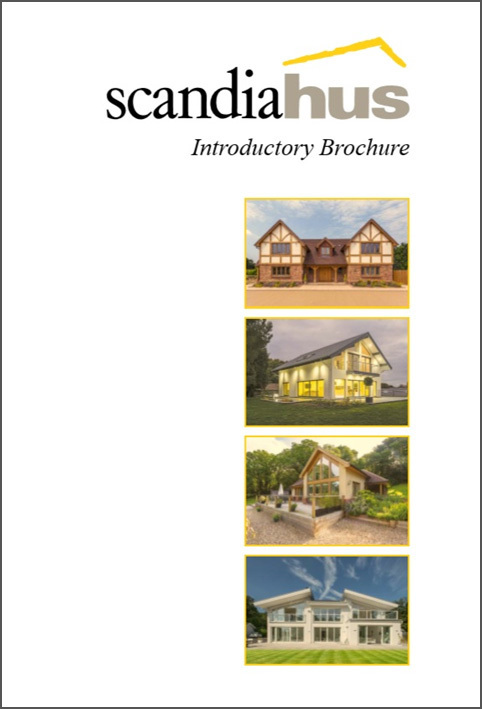 Narrowing down their search to a few timber frame companies who were able to guide them through the process, the couple visited Scandia-Hus at their show centre in West Sussex to learn more about this construction method and see for themselves the high-quality finishes available. Discussing their needs with the knowledgeable staff, the design for their barn conversion evolved, with practical ideas suggested to ensure the local authority would have no objections to the development. The new home replicated the shape of the barn, with a large sloping roof and asymmetrical look, and incorporated some of the original structure, with the footprint barely changing. 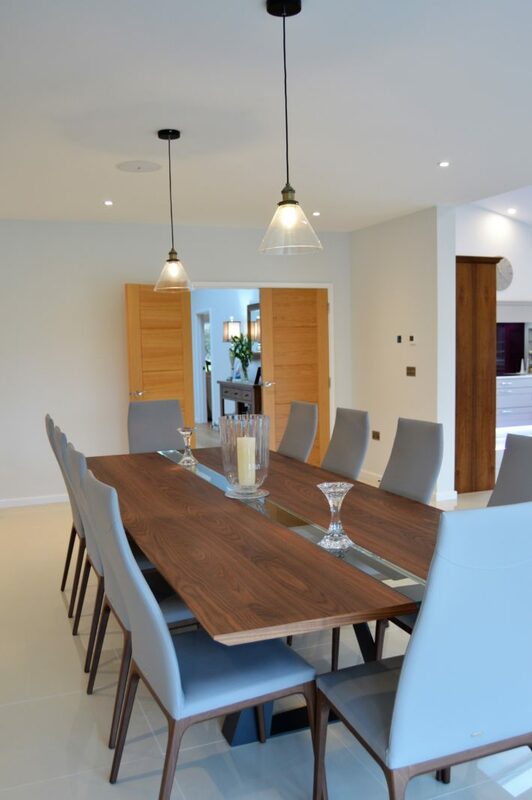 Inside, however, the space could not have been transformed more dramatically; the interiors are bright and contemporary, with rooflights throughout flooding the property with natural light. 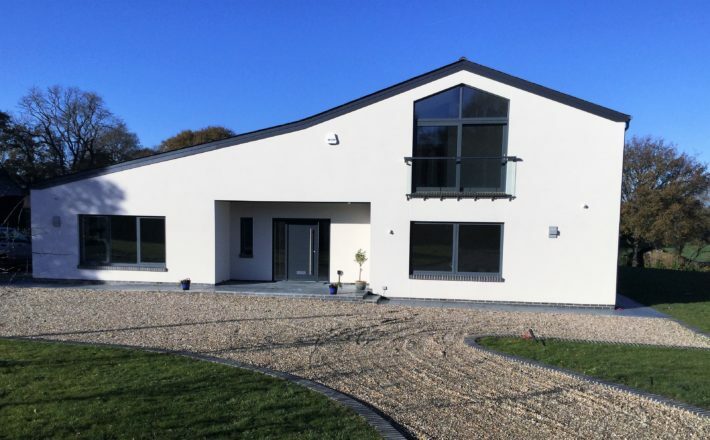 The appearance and interior décor was in part inspired by the Scandia show home, with a cream render and grey details creating a simple modern look on the outside, and a neutral scheme with timber features adopted inside. The large proportions of the barn enabled the Skellys to create a generously sized open plan kitchen area, with a breakfast bar (made of quartz, which took five people to carry in!) and dining area, as well as a separate utility room. 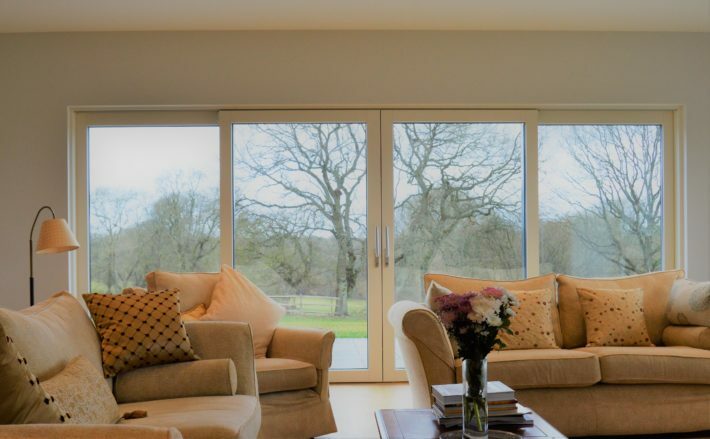 Sliding doors span the rear elevation to maximize the stunning views of the Kent countryside at the back, it’s hardly believable that the village is located so close to the capital. Stepping down into the main sitting room, the wood burning stove creates a cosy feel distinct from the rest of the living space, with the dual aspect windows framing the surrounding green fields. 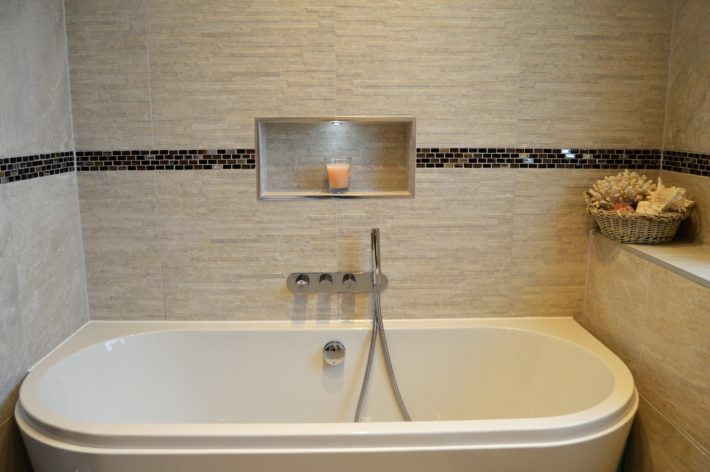 There are two bedrooms as well as a further reception room on the ground floor, and the second storey, which is found on just one side of the house due to the sloping roof, accommodates three bedrooms and plenty of storage. The master bedroom benefits from his and hers walk in wardrobes, en-suite with both bath and shower, and sliding doors leading to a private balcony overlooking the farmland beyond. The impressive barn conversion is warm and light, even on a miserable winters day, demonstrating the high specification design and finish of the build, a huge improvement in comfort for the Skellys after living in the old farmhouse for over two decades. 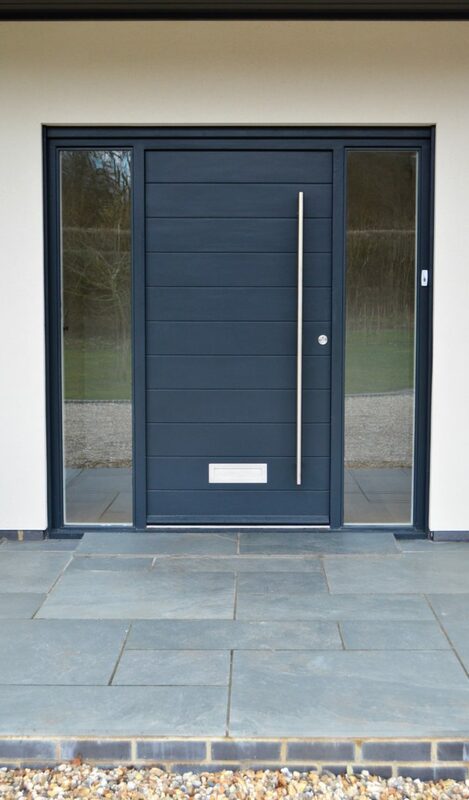 The couple are looking forward to utilising the many sliding doors in the coming months, opening up the house to the outside space and enjoying the beauty of English summer days in the countryside.